According to MHRD’s directions and subsequent decision of the JEE Apex Board on JEE (Main) and (Advanced) held on August 25th 2012, the JEE (Main) Examination, 2013 (hitherto known as AIEEE - Paper I) for admissions to B.E./B.Tech courses at NITs, IIITs, DTU, Delhi and other CFTIs will be held during April, 2013. 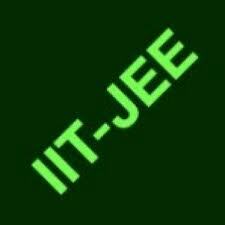 The JEE (Main) (Paper I of earlier AIEEE) for B.E./B.Tech will be held in two modes, viz offline and online (CBT). The offline examination for JEE (Main) will be held on 7th April, 2013 and the online examinations will be held thereafter in April, 2013. Punjab National Bank was founded in 1894 and is currently the second largest state-owned commercial bank in India just behind State Punjab National Bank with about 5000 branches across 764 cities. Punjab National Bank is the third largest bank in India by assets. It serves over 38 million customers. The bank has been ranked 248th biggest bank in the world by the Bankers Almanac, London. PNB has a banking subsidiary in the UK, as well as branches in Dubai, Hong Kong and Kabul. PNB has the distinction of being the first Indian bank to have been started solely with Indian capital that has survived to the present. 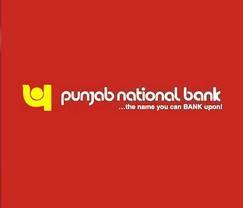 Punjab National Bank was ranked 26 in the Fortune India 500 ranking of 2011. PNB has had the privilege of maintaining accounts of national leaders such as Mahatma Gandhi, Jawahar Lal Nehru, Lal Bahadur Shastri, Indira Gandhi etc. China’s Defence Minister said that Beijing reserves the right to take further action against Japan in the ongoing dispute over uninhabited islands in the East China Sea. According to the Minister, Japan should bear full responsibility for the dispute, which has triggered violent protests in China against the Japanese. U.S. Defence Secretary Leon Panetta has been pressing both China and Japan to find ways to resolve the problem peacefully and diplomatically. Defence Minister said he hopes the Japanese government “will undo its mistakes and come back to the right track of negotiations.” Tensions over the islands spiked last week when the Japanese government said it was purchasing some of them from their private owner. Indian Oil Corporation Limited is an India Government owned oil and gas corporation with its headquarters in New Delhi. According to the Fortune Global 500 list, the company is the world's 83rd largest public corporation and the largest public corporation in India when ranked by revenue. IndianOil and its subsidiaries account for a 47% share in the petroleum products market, 34% share in refining capacity and 67% downstream sector pipelines capacity in India. The IndianOil Group of Companies owns and operates 10 of India's 21 refineries with a combined refining capacity of 65.7 million metric tons per year.It is one of the five Maharatna status companies of India, along with Coal India, NTPC, ONGC and Steel Authority of India. Currently IOCL is looking for dynamic graduates to work as Graduate Engineers and Assistant Officers. The Vice President of India Shri M. Hamid Ansari has said that Indian Muslims are, in more ways than one, sui generic. They are 13.4 percent of India’s population; at the same time, they are the second or third largest Muslim community in our world of nation-states. Addressing after releasing a book entitled “Muslims in Indian Cities” edited by Laurent Gayer and Christoph Jafferlot, Shri Ansari has said that Muslims have lived in India’s religiously plural society for over a thousand years, at times as rulers, at others as subjects and now as citizens. They are not homogenous in racial or linguistic terms and bear the impact of local cultural surroundings, in manners and customs, in varying degrees. RCF Ltd is a leading profit making and progressive public sector undertaking in the business of manufacturing and marketing of Fertilizers and Industrial Chemicals. The Manufacturing units are in Maharashtra (at Thal - Dist. Raigad and at Trombay / Chembur, Mumbai) with National level Marketing network. Employee strength is about 4100 and sales turnover (for the financial year 2011-2012) is about Rs. 6499.22 crores. Company provides excellent career growth. Hindustan Petroleum Corporation Limited (HPCL), founded in 1974, is an India-Government owned oil company headquartered at Mumbai. HPCL is one of the world's biggest corporations with a rank of 267 in the Fortune Global 500 rankings for the year 2012. Currently it has refining capacity of 13.00 million metric tonnes (MMT). 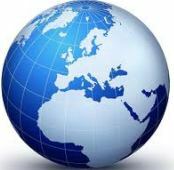 Its main products are petrol, diesal, lubricants, LPG, bitumen etc. HPCL is the market leader in lubricant and associated products and has more than 30% of market share. It is one among the 16 navratna companies of India and has an employee strength of nearly 12,000. Currently HPCL is looking for dynamic engineering graduates to work as Graduate Engineers. GAIL (India) Limited, founded in 1984, is an India Government owned natural gas processing and distribution company. GAIL has reached new milestones with its strategic diversification into Petrochemicals, Telecom(GAILTEL) and Liquid Hydrocarbons besides gas infrastructure. The company has also extended its presence in Power, City Gas Distribution, Liquefied Natural Gas re-gasification and Exploration & Production through participation in equity and joint ventures. The company has been awarded the Navaratna status due to its strong financial performance.Currently GAIL is hunting for Executive Trainees. 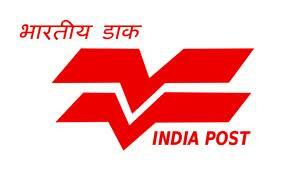 The Department of Posts, popularly known as India Post, is a government-operated postal system in India. As of March 2011, the Indian Postal Service has more than 150,000 post offices, of which around 90% are in rural areas. At the time of independence, there were 23,344 post offices, which were primarily in urban area. Thus the network has registered a sevenfold growth since independence, with the focus of the expansion primarily in rural areas. On an average, a post office serves an area of 21.23 sq;km and a population of 7,114 people. According to Wikipedia, this is the most widely distributed post office system in the world. The postal service comes under the Department of Posts which is a part of the Ministry of Communications and Information Technology under the Government of India. 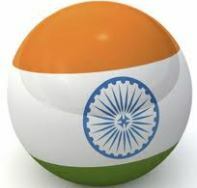 India has been divided into 22 postal circles, each circle headed by a Chief Postmaster General. Besides the 22 circles, there is a special Circle called the Base Circle to cater to the postal services of the Armed Forces of India. The Base Circle is headed by an Additional Director General, Army Postal Service holding the rank of a Major General. In pursuance of the Government’s vision of creating a Slum-free India, ‘Rajiv Awas Yojana’ (RAY) has been approved on June 2011. The Phase I of Rajiv Awas Yojana is for a period of two years from the date of approval of the scheme. Phase II will cover the remaining period of the 12th Plan (2013-17). The Scheme will provide financial assistance to States that are willing to assign property rights to slum dwellers. This assistance is for provision of decent shelter and basic civic and social services for slum redevelopment, and for creation of affordable housing stock. Fifty percent (50 %) of the cost of provision of basic civic and social infrastructure and amenities and of housing, including rental housing, and transit housing for in-situ redevelopment – in slums would be borne by the Centre, including operation & maintenance of assets created under this scheme. For the North Eastern and Special Category States the share of the Centre would be 90% including the cost of land acquisition, if required.